A welcome addition to any room. 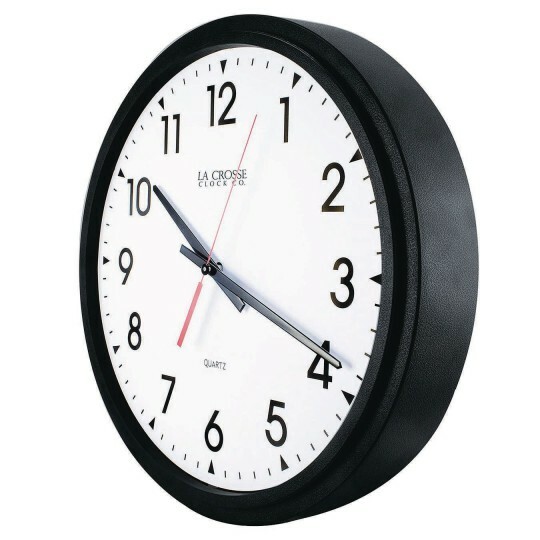 This 14” quality commercial wall clock will make a welcome addition to any room. It is larger than your average clock, making it easy to see from a distance. 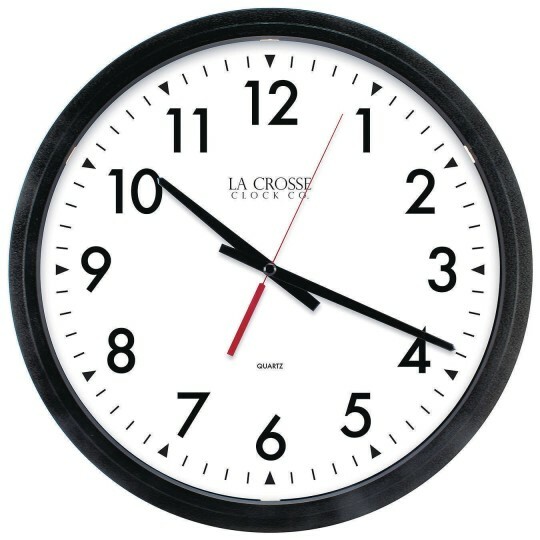 This clock has a bold black case with a plastic lens and metal hands. Requires 1 “AA” Alkaline battery (not included). Overall dimensions 13.78” in diameter x 2.64” deep.